Happy Friday!!! 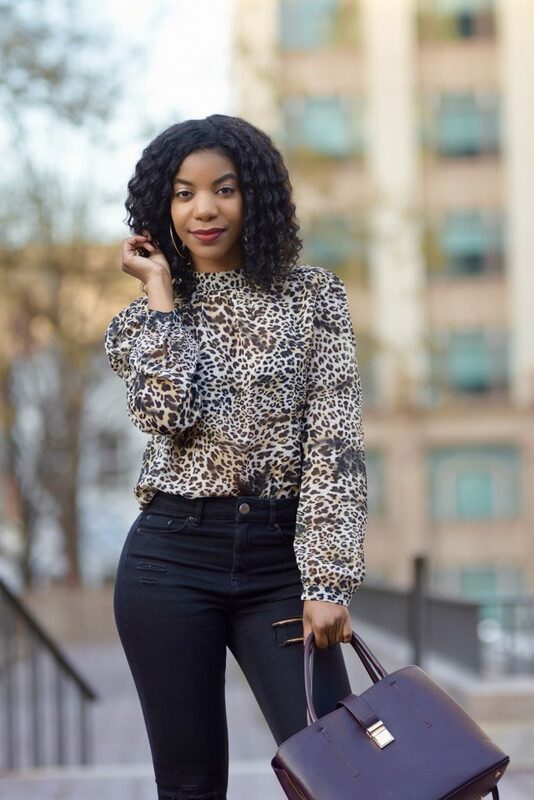 Today on the blog, I’m back at it again with another cute leopard print look from SheIn. *Sponsored post but all opinions are my own. Contains affiliate links. I just love this top! Leopard print and mock neck tops have been kind of my thing lately, so this top is perfect for me. It is a tiny bit see through in person, which adds a very subtle element of spice. It fits true to size, and I’m wearing an XS. The price makes it such a great deal! As I post these pictures, I’m just reminiscing about warmer days. It was about 53 degrees when these photos were taken, which is chilly. I actually had on a whole coat over this outfit, and took it off just for the pictures. It’s currently a windy 43 degrees, and my weather app says the real feel is 39 degrees. As a “cold-natured” person, 39 degrees might as well be 3 degrees. Send help. Thanks for reading, I hope everyone has a fun and safe weekend! Do you love leopard print as much as I do? Let me know below! You look so lovely as per usual! I also love animal print everything. 43 degrees sounds lovely for this Chicago girl. It was 8 degrees yesterday and it will be -10 degrees next week lol! Can’t wait to start dressing cute again. Great post! Lol thanks so much Kendra! Lol see I know I couldn’t survive Chicago winters, then!!! My mom loves leopard. I’ll have to send this to her. It reminds me of her style. Sounds like you have a stylish mom! Love it sis! You always come up with great looks from SheIn. I wish they had more of my sizes though. Thanks Stacie! hopefully they will in the future! Wow! This look is fire!!! You have inspired me to go shopping now! I really need to update my look. Thank you for this post! I always love leopard print, it is the perfect neutral. I don’t have enough of it in my wardrobe. I love this look!! I need that tol and the shoes! Go girl! You are killing it. I love this look! I need those shoes and the top!! You are killing this look, sis. I love this look! I need those shoes and the top!! You are killing it. 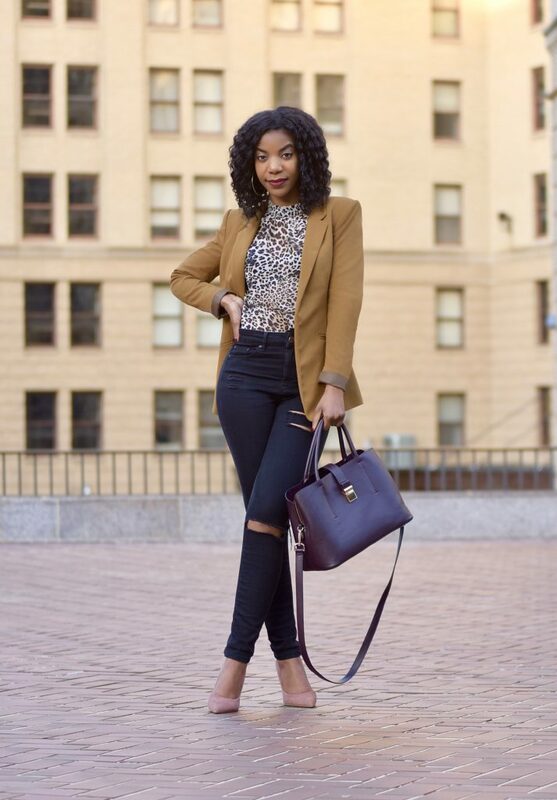 Camel is definitely your color, it looks so good on you! I am loving the top and black jeans are always a must have. This is well put together! Very classic look. I’ve never shopped st SheIn but looks like they have some nice affordable pieces. Thanks! Yaaas! 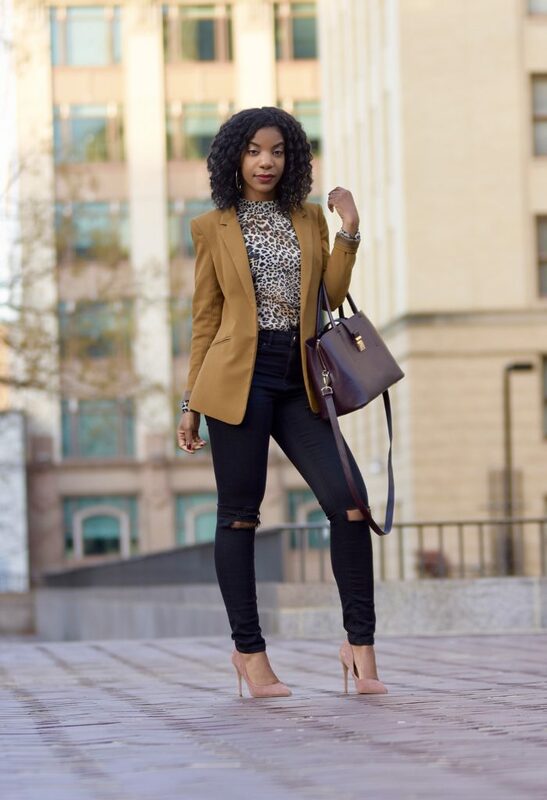 Leopard is my favorite ‘neutral’ and I’m loving how you paired it with the ripped jeans and blazer. It’s real lady-like edgy. My kinda look! Leopard print is my favorite animal print. I LOVE how you paired that natural pump with this look. I legit feel like I have this look in my closet that I can try and pull off. Thanks for sharing! Hey gorgeous! 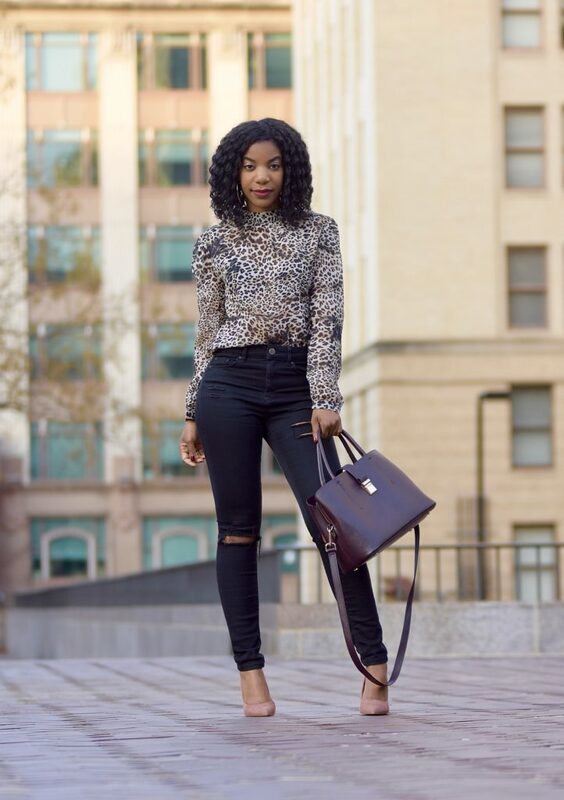 I have a thing for leopard accessories and now that I’ve seen your look, I need to add a leopard top to my collection. Gotta love a great animal print anything! Great way to be fierce in any season. And that blazer! Life. I had a leopard print blouse I used to wear on the air when I was on TV. I always got compliments on it. You inspired me to add it to my rotation again.